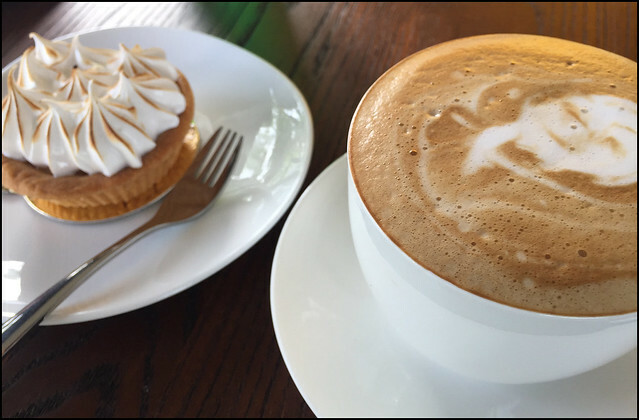 Time for coffee and a cake! 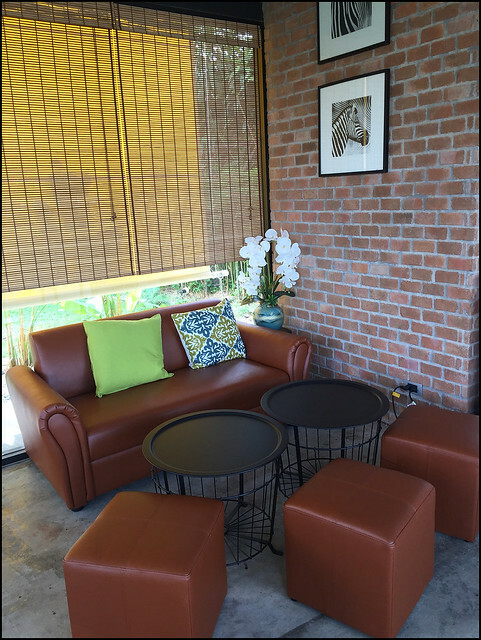 We now have a new regular place to go, as a friend of our has opened a coffee shop! 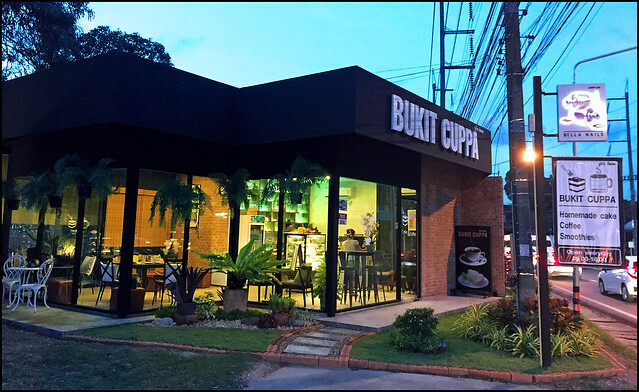 Bukit Cuppa opened last month and now they've finished doing some landscaping and planting flowers and plants around the cafe it looks very nice. We have called in a few times in the last month, but I was waiting for a sunny afternoon on a day when I was not working to visit and take some photos. 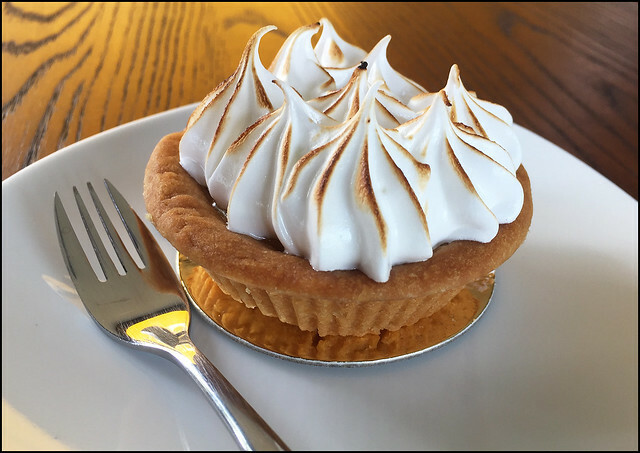 Plus our friend told us she had made some lemon meringue tarts (at my request!) so we visited again yesterday for coffee and cakes. 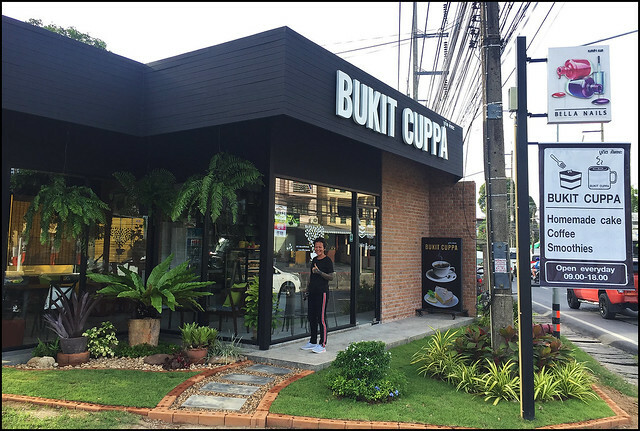 You can find Bukit Cuppa a little outside Phuket Town, near the Promphan supermarket, also near the King Power duty free shop and not far (about 800m) from the Weekend Night Market. And as an obvious landmark, next door is a big shop called 'House and Home' which has a huge sign towering over it. There's parking next to the cafe, space for half a dozen cars. Our friend Khun Aey was working as a sales rep for many years involving a lot of driving and time away from family. She says in the last couple of months since starting with this venture she is so much happier. Running a cafe, making cakes, chatting with customers, a much more relaxing life! 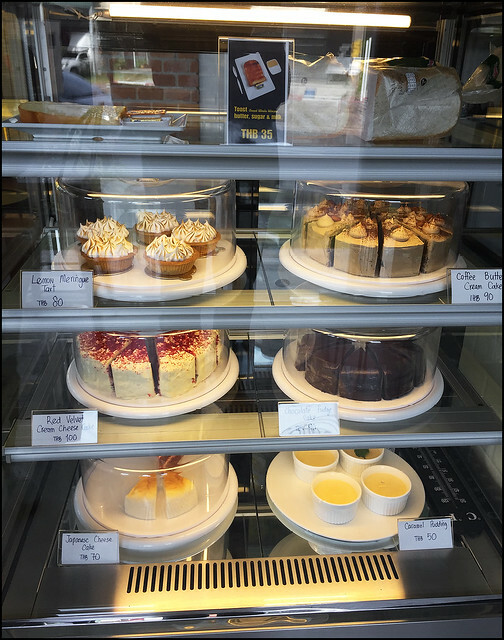 Yesterday we had the choice of caramel pudding, Japanese cheesecake, red velvet cheesecake, chocolate fudge cake, coffee butter cream cake and lemon meringue tarts. Did someone say 'lemon meringue'? Yes, lemon meringue :) I'll have one of those please! 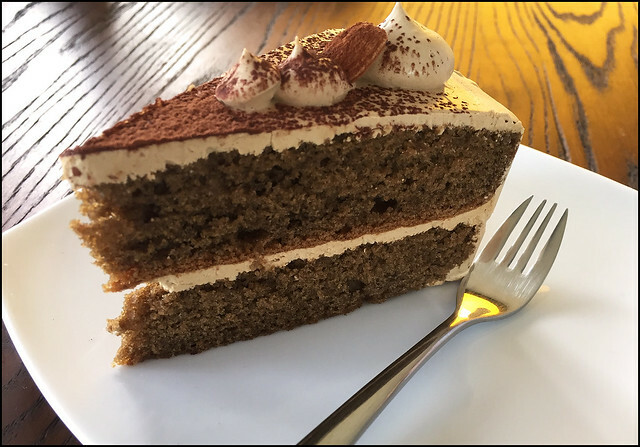 And my wife chose the coffee butter cream cake. I'm not a coffee expert or coffee connoisseur .. usually drink instant coffee at home, so I can't tell you if the coffee here is "to die for" .. I had a caramel macchiato which was very nice. 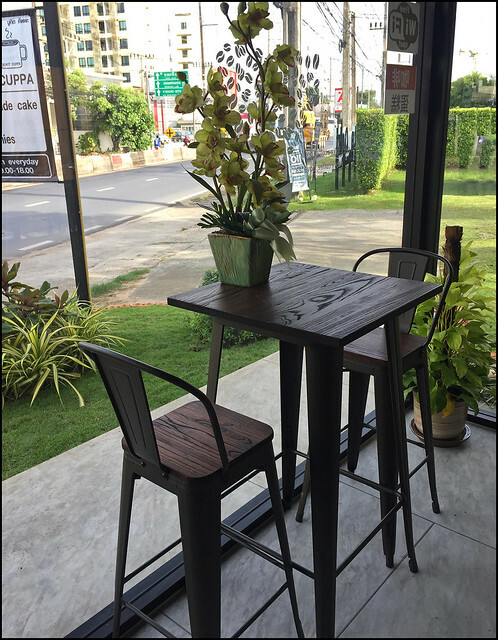 The drinks menu has various coffees, teas, fruit drinks and smoothies. Drink prices start 45 - 50 Baht. Cakes from about 70 Baht.